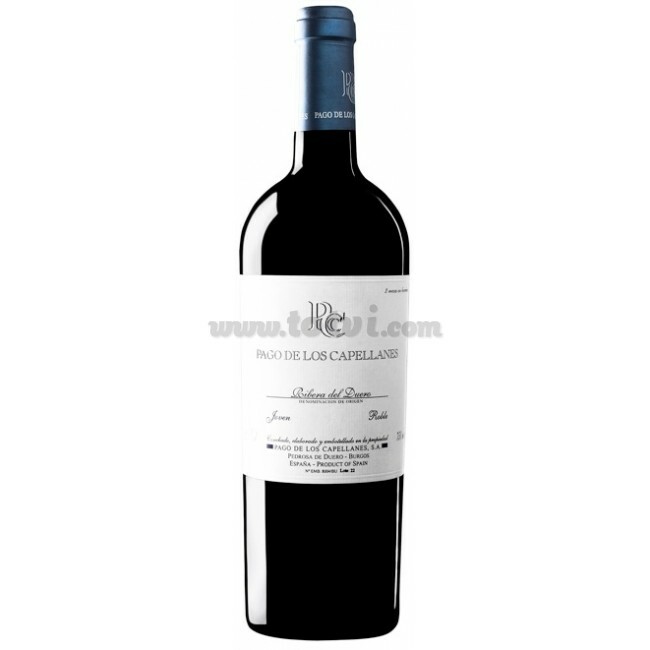 Pago de los Capellanes Roble is a young red wine monovarietal, 100% Tempranillo. It is a wine with a wide mouth, elegant, persistent and velvety. In sight, it is a clean and bright wine, cherry color. In the nose, an intense floral aroma and red fruit of the forest, it joins with lactic touches and vanilla characteristic of its brief passage through wood. The passage in the mouth is wide, elegant, persistent and velvety, without losing the vividness of the great young wines of La Ribera. Aging for 5 months in French oak barrels.